As the Easter church service was going on it came time to give your tithes and offerings. The basket was being passed around and it got to a homeless man. 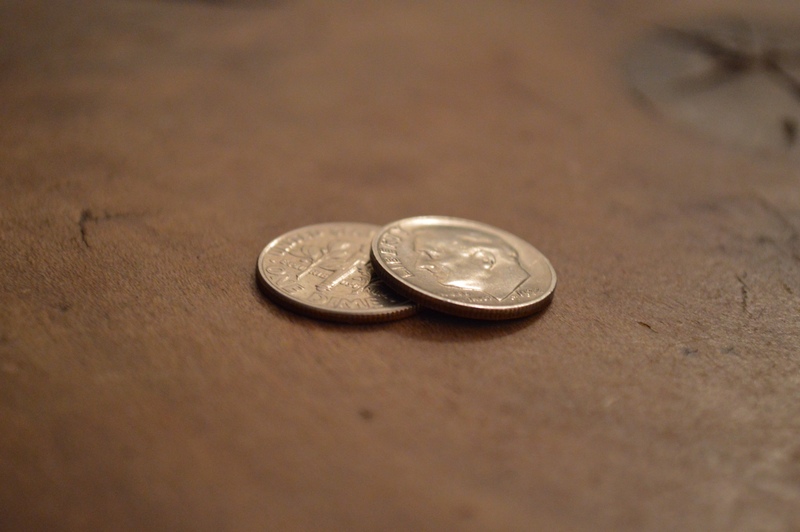 Instead of him just grabbing the basket and passing it on he dropped in two dimes…20 cents. 20 cents can’t really get you ANYTHING, but you know what…that is all this man had to offer. In the story above the disciples wanted to send the people home because they didn’t think they had enough food to feed everyone. Jesus replies, “They do not need to go away. You give them something to eat.” They gave Jesus 5 loaves of bread and two fish…to feed five thousand people. That seems about as insufficient as this man’s 20 cents. In this situation Jesus wanted something for His disciples. He wanted them to be a part of a miracle! Jesus could have fed all of those people on His on without a problem, but He didn’t and because the disciples had faith they got to be a part of the work of God. This homeless man is a man of faith. He gave all he could offer because he knows that God can take the little he has to offer and make a miracle out of it. What seems insufficient in our hands can be multiplied if we have enough faith to hand it over to God. God doesn’t want something from us…He wants something for us! So give Him your time…even though your schedule is busy…give Him your talents…even if you think they are insufficient…and experience first hand what God is doing around you…because the opportunity is there…sometimes we just never take that leap of faith…or we never make that sacrifice…because we don’t realize the opportunity that God has put in front of us.